Welcome to the Eighth Edition of the Owen Guns Bulletin. Have A Very Happy and Prosperous New Year from all of the team at Owen Guns. Quality Photographs of the famous Ron Hayes collection of hand guns, the most complete Australian collection. 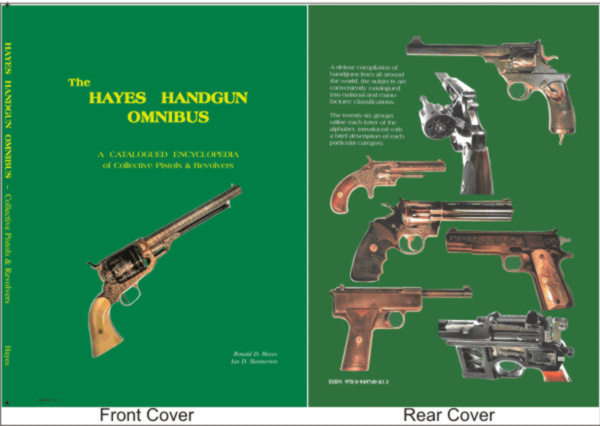 A deluxe compilation of handguns from all around the world, the subjects are conveniently cataloged into National and Manufacturer classifications. The twenty six groups utilise each letter of the alphabet, introduced with a brief description of each particular category. 592 large format pages. Commercial Walnut Stock, Famous FN Mauser Action. Bedded and Free floated, Custom worked trigger guard and magazine floorplate. Commercial Adjustable Trigger and Safety Catch. Commercial Striker. 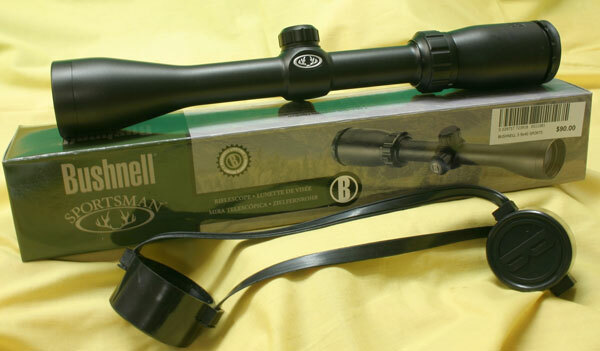 3-9×40 Simmons scope, Simmons Steel Mounts. Comes with 25/308 cases. All finished and deep blued by a Local Custom Gunsmith. Ian Skennerton has spent more than four decades of world-wide research and study, evolving through two prior editions and many other related titles. The Lee Enfield has proven itself as the finest battle rifle of all time. No other firearm has served for so long at home and abroad with such a proud record. This study encompasses all aspects of the Century of Lee-Enfield development & production… Britain, America, India, Australasia, South Africa & the Far East. Rifles, carbines, bayonets, parts, tools, accessories & ammunition are arranged into specific groups & chapters. There are five new chapters • Preview, Model Identification • Lee-Enfield Hybrid • Serial number Production Ranges • Component Parts Evolution • An Ammunition Summary. The Pattern Room collection has been the primary source for samples and records. 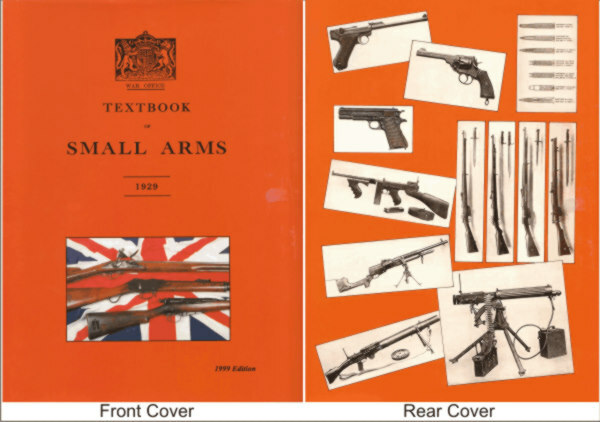 With the larger format, this presentation sets a new standard for collectors, students & shooters of the venerable Lee-Enfield… indeed, for all arms books. 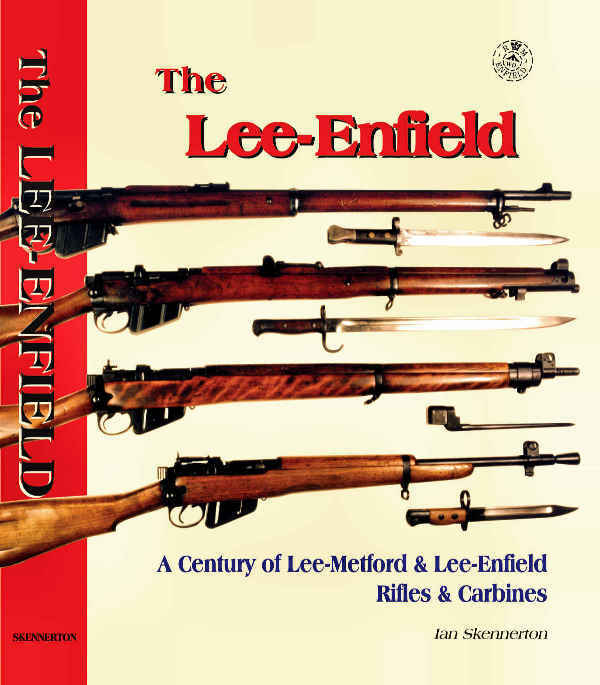 While the ‘Lee-Enfield Story’ has long been accepted as the definitive tome on the Lee-Metford and Lee-Enfield rifle series, this new volume increases the record from 504 to 608 pages and features improved photographic detail, larger illustrations and an improved layout. Throws consistently accurate charges reload after reload. Powder pours uniformly from measuring cylinder into case, thereby eliminating the hazards of “overloads” caused by clogging when charges are dumped”. Changes easily from charge to charge without emptying powder hopper. Numbered measuring screw is used for reference to find a given charge at a later date. 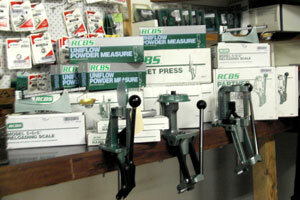 The measuring cylinder has precision ground surfaces and slides into the honed main casting for a precision fit. Standard 7/8″- 14 thread. Includes stand plate, drilled for easy mounting on a bench or under a reloading die lock ring. Two drop tubes for .22 caliber and upwards are supplied. The Uniflow Powder Measure is fully capable of accurately measuring all three major powder types – ball, cylindrical, and flake. It will even cut the cylindrical powders so that a precise charge can be obtained. NOTE: The Uniflow Powder Measure should be used in conjunction with an accurate powder scale for setting the original charge and for checking charges occasionally during the run. Jeff Cooper coined the term “Hoplophobe” to describe a person who lives in fear of an inanimate object. The Hoplophobe does not recognize that there is a living, breathing human being in possession of the inanimate object. (See: Bad Gun – Liberals attack the gun issue.) Therefore the Hoplophobe chooses to have a relationship with an inanimate object rather than with the sentient being in control of the object. Such a person is, by definition, irrational. Such a person is, by association, insane. In our merciful culture, the insane are granted special dispensations. They are not considered responsible for their own well-being. Public money is often used to house, clothe and feed them. They are not allowed to serve on a jury. They are not allowed to vote. (And when they do manage to sneak into the voting booth, the rational among us are not surprised that they often “dimple” rather than “punch” a ballot, despite written instructions to the contrary.) They are not allowed to serve in the military, and they certainly should not be allowed to make public policy that will put their neighbors at risk of being injured or killed. We in the RKBA community have spent countless hours and dollars attempting to educate the Hoplophobes. This is hopeless. It cannot be done. These poor folks have a condition known to the medical specialty of neurology as “anosognosia.” That is: they don’t know, and they don’t know that they don’t know. A sure sign of such a deplorable condition is that when education is attempted, the Hoplophobe responds with anger. Hoplophobes don’t like to be angry, because it frightens them to be angry. So, our attack on them should be one of frontal assault. Let us boldly call them what they are: socially retarded children who, when left alone to participate in the making of public policy, are getting people killed. It is time for us to start taking them on directly. We have simply been “too nice” to these social retards. The worst that will happen when these people are confronted directly is that they will cry and run away, trembling and calling us names as they run. 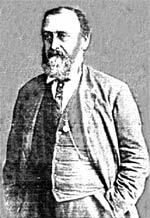 William Ellis Metford was the elder son of William Metford MD of Flook House, Taunton, by his marriage with Miss M E Anderdon, and was born on October 4th, 1824. He was educated at Sherborne and afterwards became a pupil of Mr W M Peniston, then Resident Engineer under Mr Brunel on the Bristol and Exeter Railway, and from 1846 to 1850 was employed under Mr Brunel on the Wilts, Somerset and Weymouth Railway. 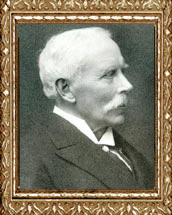 He subsequently worked for Mr T E Blackwell in connection with schemes for developing the traffic of Bristol and afterwards for a short time acted as engineer under Mr Peniston who was contractor for the Wycombe Railway. During this period of his life he made many friends in the profession and in 1855 became acquainted with Mr William Froude who at once recognised his ability and skill and became his most intimate friend. Mr Metford devised a form of theodolite with a traversing stage and a curved arm upholding the transit axis, which is described in the Proceedings of the Institution for February 1856. He also invented an improved level in which the upright stem of the level telescope terminated in a sphere resting on the lower plate of the level and gripped by a ring grip tightened by four screws pulling downwards and having spherical nuts. The instrument could then be adjusted accurately even if the plates were as much as 25 degrees out of the horizontal. Mr Froude suggested a further improvement – that the sphere should not rest on the bottom plate, but should have an internal hollow sphere resting upon a small sphere concentric with the outer sphere. Early in 1857 Mr Metford, who had married a daughter of Dr Wallis of Bristol, obtained a very important appointment on the East Indian Railway under the present Sir Alexander Rendel. This he obtained largely through the recommendation of Mr Blackwell and Mr Brunel. He arrived at Monghyr, on the Ganges, in May of that year, the mutiny having just broken out. Here there was every probability of an outbreak; the town of 50,000 native inhabitants contained no troops but a handful of Sepoys belonging to a mutinied regiment. The Europeans, some seventy or eighty in all, were taking no active steps to organise defence. If they fled, as was possible by boat, the town would be given over to anarchy and violence. Mr Metford decided to remain and, with his railway staff, took in hand as well as he could the organisation of patrols and other repressive measures. His task was difficult, for he had no official position as leader. The old fort was ruinous and too large to be defended by so few; a house was accordingly fortifiedand provisioned in case of need. Patrols and guards were organised and it became known that ‘Metford Sahib’ was making explosive shells and other murderous inventions. Besides taking his turn on guard duty, he superintended every measure of defence and could scarcely rest night of day. 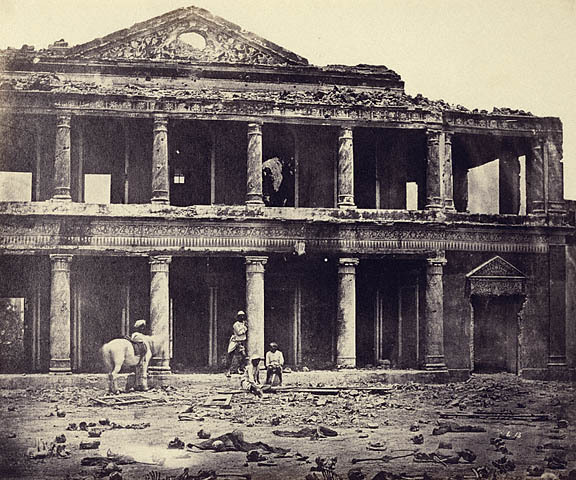 In the Indian Mutiny some building were fought over more than once. 2000 Sepoys were killed defending this building, due to wild dogs only the large bones were left. It was the most trying part of the Indian hot weather and not until the beginning of August could English soldiers be spared to garrison the town. Had it not been for Mr Metford’s determination another massacre might have been added to the story of the Mutiny. The heroism of the man who prevented it has remained unrecognised and almost unknown. The strain of this terrible time left him seriously ill – suffering from inflammation of the membrane lining of the brain – and after some months of rest and an attempt to resume his work at Monghyr he returned home after a little more than a year’s absence from England, and was obliged definitely to abandon the profession. Much of the work which he afterwards accomplished was done under the strain of continual depression and headache. He soon resumed his old hobby – experiment in rifle work. As early as 1852 Mr Metford had carried out experiments at the long distance of 1,200 yards. About the end of that year he suggested a hollow-based bullet for the Enfield Rifle which was brought to the notice of the Committee on Small Arms in 1853 by Mr Pritchett, and adopted by them. Both at this time and afterwards, he made many experiments on alloys of lead, tin and antimony and on the changes in hardness which take place in them with time. In 1854 he investigated the disturbance of the barrel by the shock of the explosion, which affects the line of flight of the bullet, a difficulty which has led to much misunderstanding. About this time he designed a form of telescopic sight which he afterwards used a great deal and which was a decided improvement on existing patterns. He gave much attention to the problem of making an explosive rifle bullet and in 1857 sent in his invention to the Select Committee who found it the best of those offered to them. It was not adopted however until 1863, when it had successfully competed against Colonel Boxer’s and General Jacob’s shells. It was very cheap and easy to manufacture, the explosive being a mixture of sulphur and chlorate of potash, and the hollow a simple one at the nose of the bullet. The Convention of St Petersburg in 1868 put an end to the use of explosive rifle bullets; but the superior accuracy of the hollow-fronted bullet led to its retention for the Service rifle. The Volunteer movement of 1859-60 had led to a great revival of interest in rifle work, and at the Wimbledon Meeting of 1862 Mr Metford made the acquaintance of Sir Henry Halford, hence-forward his friend and assistant in his experiments. Together they competed, with rifles specially designed by Mr Metford, for the prizes given by the National Rifle Association in 1864-5 for shooting at 2,000 yards. In both these years Mr Metford’s rifles were successful. He now made many experiments to determine the velocity of the bullet at different points in its passage along the barrel and was able to lay down a curve for such a spiral as would give the bullet equal increments of rotation in equal times – the only scientific basis for an increasing spiral. This invention, though it proved to be less important than was at first supposed, formed the subject of a patent. A new form of ballistic pendulum, with double suspension, suggested partly by Mr Froude, was of great help to Mr Metford in his experiments. Mr Metford’s chief distinction in rifle progress however is that he was a pioneer of the substitution of very shallow grooving and a hardened cylindrical bullet expanding into it, for deep grooving and bullets made of soft lead. No one before him had realised that the expansion of a bullet under the blow of the powder was ample and instantaneous and that deep grooving served to accumulate fouling, while soft lead created unnecessary friction. The Whitworth system of polygonal grooving gave far more grip on the bullet than was needed to give it proper spin. Mr Metford found that a bullet could be spun with rifling only 0.0005 inch deep, and that a depth of 0.004 inch was ample for all practical purposes. In 1865 his first match-rifle appeared, having five shallow grooves and shooting a hardened bullet of special design. It immediately achieved prominence in the hands of Sir Henry Halford, and in a very few years Mr Metford’s rifles, and those made on the same principles, had left all others far behind. In 1872 a match at Wimbledon between teams armed with breech-loaders and muzzle loaders proved that while the latter was certainly still superior, the Henry match breech loader was quite out-classed by the Metford military rifle with match sights attached. By 1877 the rifle and ammunition had passed out of the experimental stage and were made by makers of repute, to whom great credit is due for the good workmanship which was an indispensable condition of the success of the rifle. From that time the record of the military rifle is an unbroken series of triumphs; and in the whole 23 years up to 1894, when military rifles of larger bore than 0.315 were no longer recognised by the National Rifle Association, the Metford rifle only four times failed to win the Duke of Cambridge’s prize, while it took a preponderating share of the other prizes. The Martini-Henry, adopted so recently by the Committee on Small Arms as the best breech-loader, soon found its level and after 1882 absolutely disappears from the long-range prize lists for the military breech-loader class. The superiority of the Metford rifle was notably shown in the matches with the military rifle between the Volunteers of Great Britain and the National Guard of the United States in 1882 and 1883 when the American rifles proved to be decidedly inferior to the British, notably at the long ranges, and almost the whole of the British teams used the Metford rifle. The rapid advance in military small arms abroad, especially as regards quickness of loading, caused the appointment of a Committee to deal with the question of an improved British rifle in February 1883. Mr Metford designed, at the request of the Committee, the detail of the barrel of 0.42 bore for the rifle provisionally issued for trial at the beginning of 1887. But just at this time the question of further reduction of calibre was raised, as a result of Continental experiments, and the outcome was the adoption of the present 0.303 barrel and cartridge for the Service. Mr Metford’s unique knowledge enabled him at very short notice to lay down the proper proportions for the grooving, the pitch of the spiral, the shape and dimensions of the ‘entry’, and the ‘clearances’ to be given for the cartridge, all so satisfactory that though he himself verified them at much trouble and cost and the Committee also tried them exhaustively, it was found that no modifications could improve them, either as regards accuracy, convenience in use, or ease of manufacture. The 0.303 was first used for black powder, for which his segmental grooving was almost essential, and it was only the rapid destruction of the bore by the smokeless powder afterwards adopted which made it advisable to return to a very obvious form of grooving which had been used by Mr Metford twenty five years earlier. 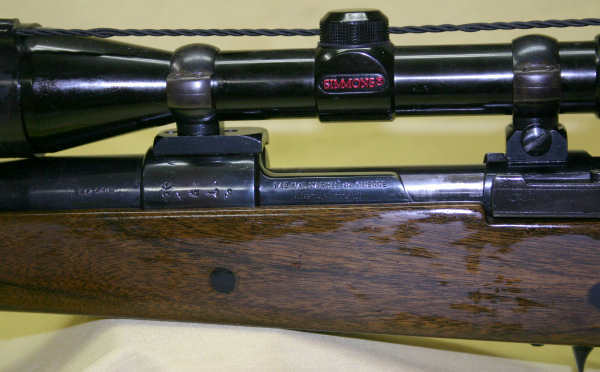 The adoption of the name of Lee-Enfield for the 0.303 magazine rifle with the altered grooving obscures the fact that the shape of the groove was only one of many details connected with the barrel, chamber & cartridge, which are due to Mr Metford’s skill. The form of the bullet, for instance, is one which he found to meet with less resistance from the air than any previously invented. Rifle work was by no means the only subject in which Mr Metford took an active interest. He was something of an astronomer; was an authority on the making of fireworks; and knew much about kite-flying. He studied thoroughly the questions involved in the cutting of precious stones, and at the Exhibition of 1862 showed some jewels beautifully cut by a mechanism of his own invention. He was an interested reader of books on many subjects. A return, in 1892, of his old illness in an acute form put an end to Mr Metford’s active work and after some years of failing health he died on October 14th 1899. Those who knew him will always remember specially his kindness, his deep and genuine nature, his wide sympathies, his extreme accuracy of mind as well as of hand, and his untiring thoroughness of his work. 152 Full Colour pages, photographs, specifications and details of all types of Infantry Firearms and Ammunition. This is your Christmas present don’t miss out.